Book your flights to San Pedro with us! Obtain a value coupon of 5% (net value) to be used on any catamaran tour/charter during your visit. 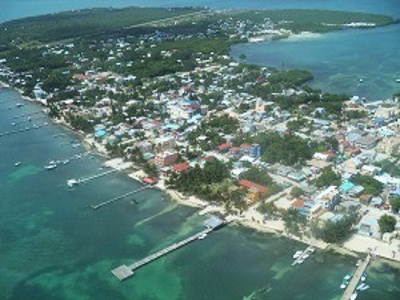 Save 7.50 USD on a catamaran tour booking a round-trip from Belize International to San Pedro! Infants under 3 years old fly for free, sitting on lap. Free re-booking (domestic only) onto the next available departure if your flight into BZE is delayed. A 5% value coupon applies for all flights with Tropic Air, so contact us if you travel to San Pedro from a different airport within Belize, or plan to travel to various destinations within Belize or to any of their international destinations. The easiest, most comfortable and fastest way to get to San Pedro, Ambergris Caye from BZE (Belize International Airport, Philip Goldson) is via a 20 minutes flight to the island. Booking through us, you obtain a value coupon of 5% (net value) to be used on any catamaran tour/charter during your visit. The round trip cost is 157.75 US$ with Tropic Air - save 7.50 US$ per person! Just fill out the form on this page and we will send you a booking confirmation as well as information about our catamaran services and availability. If you already booked the catamaran, you'll receive the discount on your balance. Bookings are subject to availability and we requiere the filled out form 48 hrs in advance to guarantee the booking.